Stakeholders laud the impact of Ganitha Kalika Andolana on children. 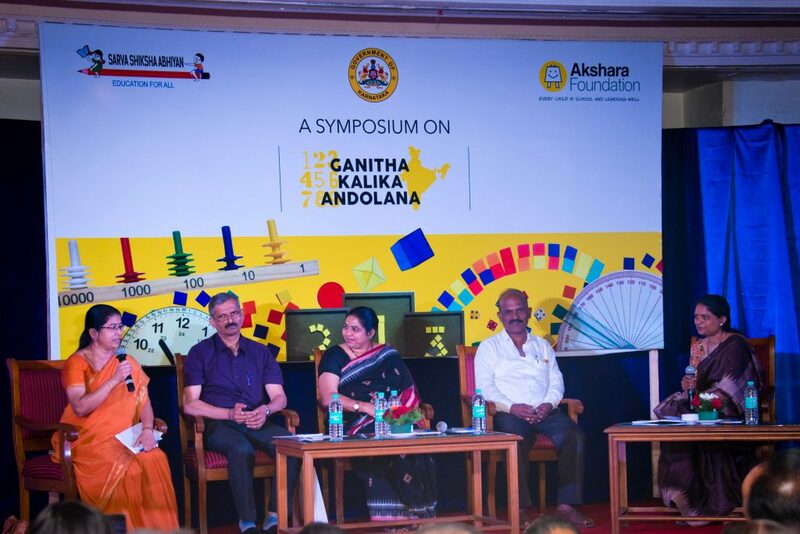 Akshara Foundation organised a Symposium on Ganitha Kalika Andolana (GKA) to mark the completion of three years of the programme’s implementation. 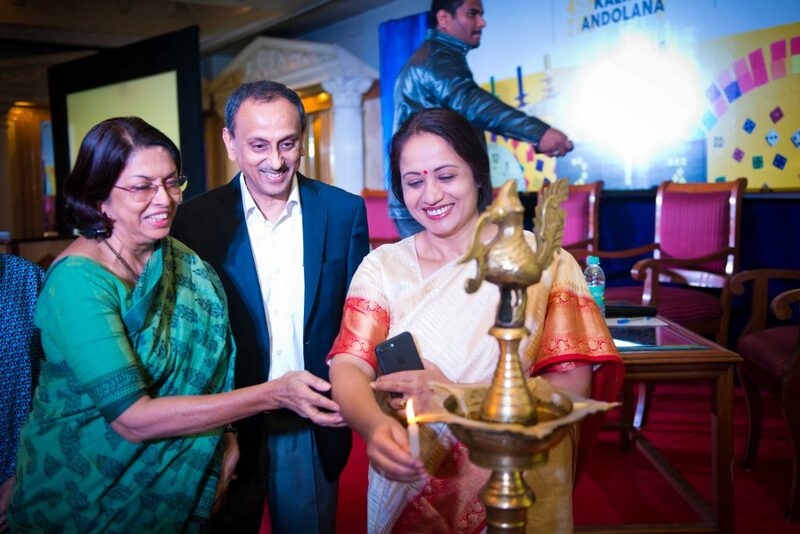 The symposium was inaugurated by Shalini Rajneesh., I.A.S. Principal Secretary, Primary & Secondary Education. The symposium on Ganitha Kalika Andolana had three primary objectives. (3) To provide a platform for the learnings of GKA and discuss how to improve the efficacy of the programme in the coming years. The Symposium featured two panel discussions: Pedagogy and Materials; and Reactions from the Field. The panellists consisted of eminently qualified and experienced people who have implemented several educational programmes. Participants included academics, policy makers, field practitioners and researchers who, as authentic voices of expertise and experience, discussed, deliberated and made recommendations for the way forward. The panellists included: Dr. P. C. Jaffer, I.A.S. Commissioner For Public Instructions; Shri. Veeranna Jatti Reader – CTE, Chitradurga; Shri. Nagabhushana BEO, Chitradurga; Shri. Channabasava Swamy Gram Panchayat President, Pagadadinni GP, Raichur District; Shri. Manohar Badiger SDMC President, GHPS Bijakal village, Kustagi Block, Koppal District; B.K. 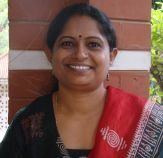 Basavaraju, Director Primary Instruction; Dr. G. Vijayakumari Principal, Associate Professor, Vijaya Teacher’s College, Bangalore ; Annapurna Kamath, Math Consultant; Shri. R.V. Makali H.P.S. Suganalli, Bannikoppa, Shirahatti. About SSA: Sarva Shiksha Abhiyan (SSA) is Government of India’s flagship programme for achievement of Universalization of Elementary Education (UEE) in a time bound manner, as mandated by 86th amendment to the Constitution of India making free and compulsory Education to the Children of 6-14 years age group, a Fundamental Right. 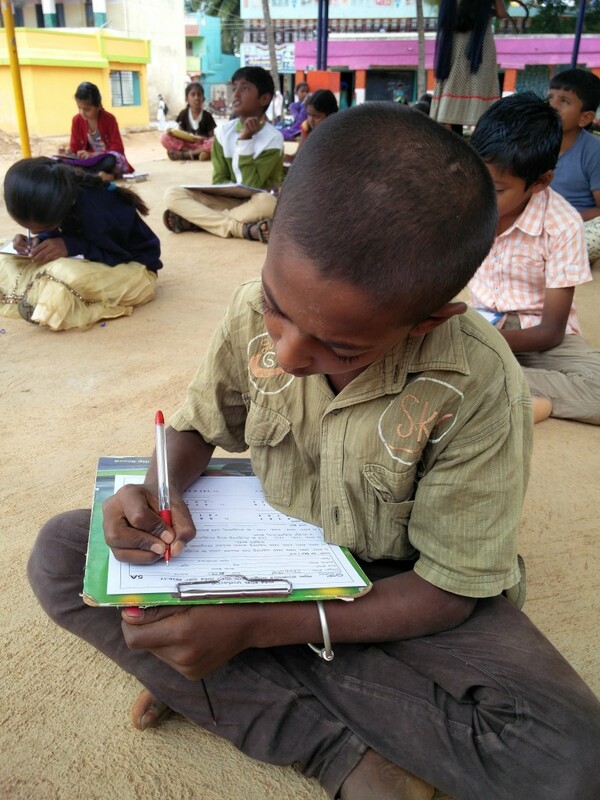 Testing the level of math in children, the Gram Panchayat Way. 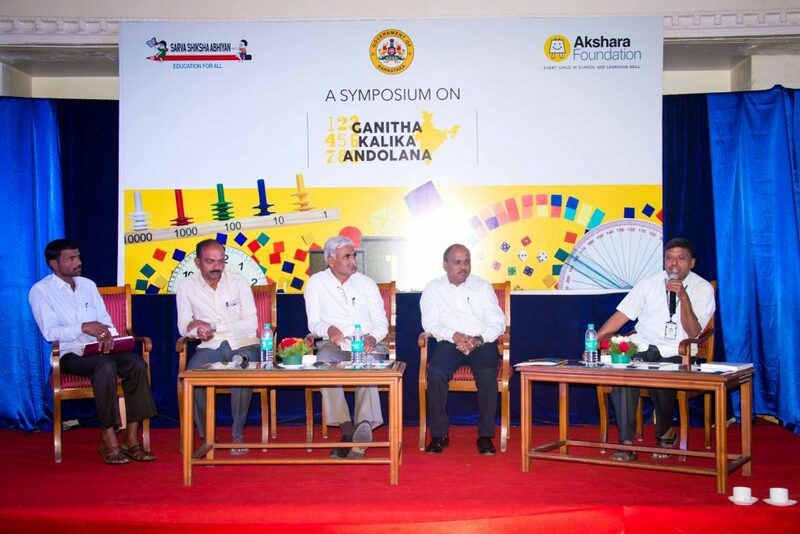 An entire academic year has just gone by after the grand launch of Ganitha Kalika Andolana (GKA), the innovative support programme rolled out in June 2015 by Akshara Foundation, in collaboration with the Karnataka State Government. 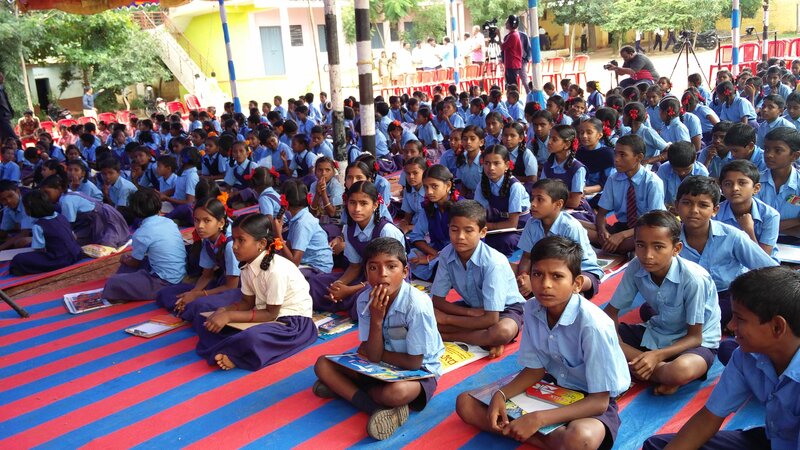 During the course of the year, the programme was implemented in six districts of the Hyderabad Karnataka region namely, Gulbarga, Koppal, Bellary, Raichur, Bidar and Yadgir. Around 8,000 teachers, 682 Government Resource Persons and 718 Cluster Resource Persons have been trained on the methodology, so that 300,000 children in 7,515 schools could benefit from this programme. 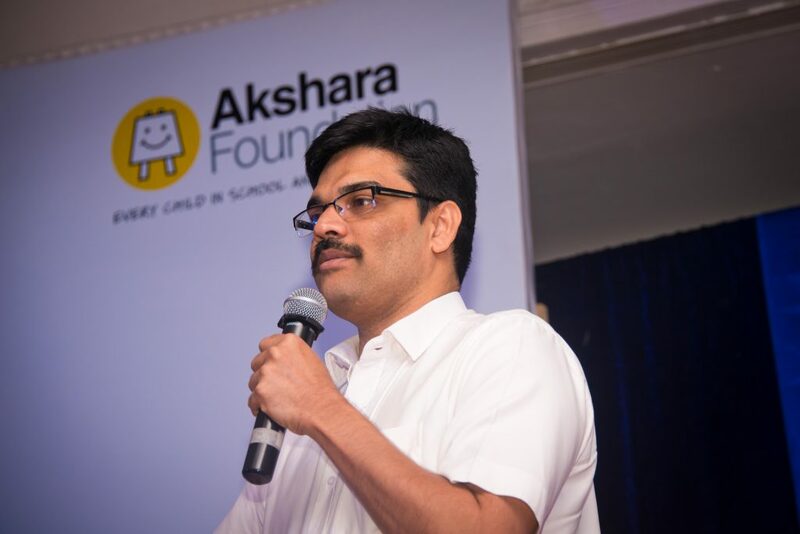 In an attempt to understand exactly how much the programe has benefitted the students and how much they have been exposed to it, Akshara Foundation was a proud facilitator of a one of its kind math competition for the children this summer. This competition was organised and spearheaded by the Gram Panchayats themselves. (A gram panchayat is the cornerstone of a local self-government organisation in India of the panchayati raj system at the village or small town level and has a sarpanch as its elected head – source: Wikipedia) Many villages come under a single Gram Panchayat. And Akshara identified around 250 such gram panchayats, spread across the 6 districts of GKA. Out the 250 identified Gram Panchayats, the team managed to conduct competitions in 216 of them. Covering concepts on the Number System, Arithmetic Operations, Geometry and Measurement, the question papers were set by Akshara Foundation . A total of 18,085 children showed up over the course of six weeks to participate in these competitions. This mammoth project involved around 2,000 youth volunteers and 20,000 odd parents, taking the ANDOLANA (meaning a Movement) to a whole new level. Many of the parents were exposed to the impact of interactive-based learning and in turn, the importance of math, for the first time. So how does something like this work? Easier said than done. 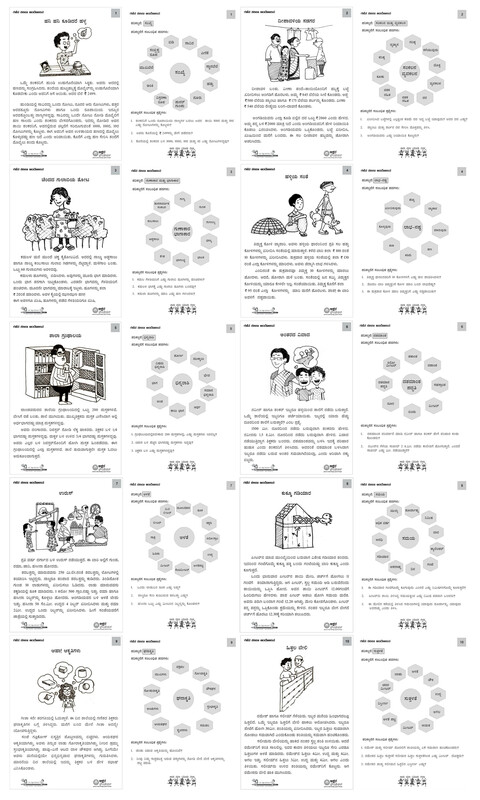 Akshara Foundation set each question paper with painstaking care, to cover all the major listed concepts equally. They were then couriered to each Gram Panchayat in sealed envelopes. 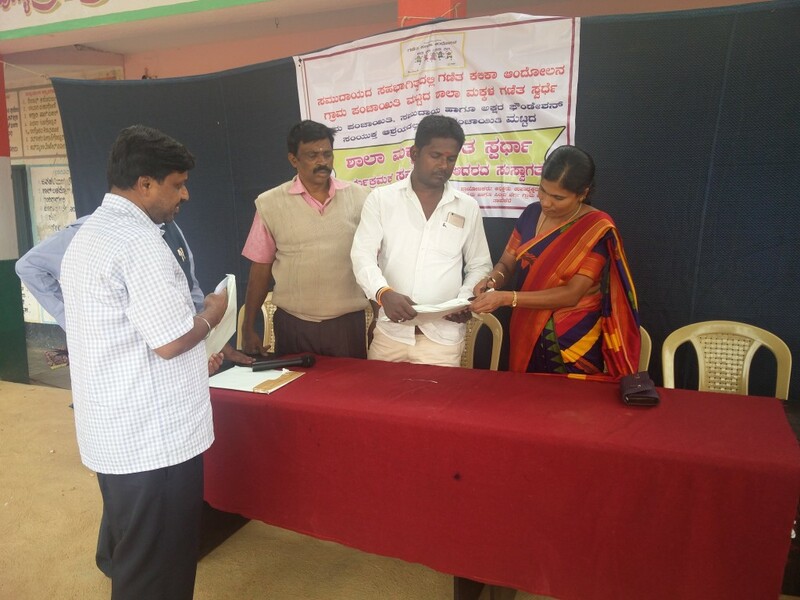 The Gram panchayat members would then begin the competition by opening the sealed envelopes on the day of the competition, in front of everyone. All the participants were given a paper each, and had to solve all the questions within the given time. Our youth volunteers would then huddle in a room and and correct the papers themselves, once all the papers were collected from the children. Once done, the results were announced in a grand closing ceremony, where the child who bagged the 1st prize was awarded a cash prize of Rs. 1000/-, Rs. 600/- was awarded as the 2nd prize and Rs. 400/- as the 3rd prize. All this (excluding the setting of the paper) took place over the course of a few hours, right in front of everyone. There were no hidden rules or blanks left to fill in by the unassuming audience. All this sounds like a picture perfect new method of assessing children, but how did the children actually fare? Of the 18,085 children who were tested (4th standard, 5th standard and 6th standard), the overall performance of those in the 5th standard was found to be relatively better, with a marginal increase in the percentage of students in high grades when compared with the performance of those in the 4th and 6th standard. Some stark figures that need to be spoken about: 72.3% of the children tested could perform 4-digit addition, but when it came to 4-digit subtraction and multiplication, only 55.6% and 30.9% of them could manage it. While 23.8% children could do 4-digit division, only 17.2% children could solve division problems conveyed through a practical scenario. Overall, the children of Raichur and Yadagiri districts scored the highest (14% and 18% scored above 75% respectively). 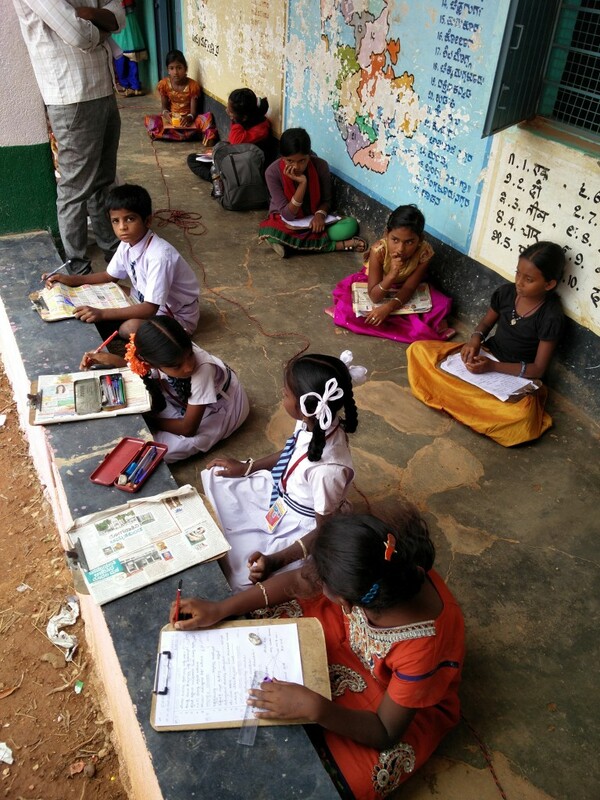 Bellary and Kalburgi districts exhibited the lowest performance scores (where only 9% and 7% of the children scored above 75% respectively). The children’s performance, good or bad, has definitely started many a conversation amongst all the stakeholders. We are happy that this initiative has motivated the community to take a keen interest in their children’s education. And to ensure this dialogue opens up in all the areas of Ganitha Kalika Andolana, Akshara Foundation will help organise around 400 more Gram Panchayat competitions, similar to these 216 over the course of the academic year. 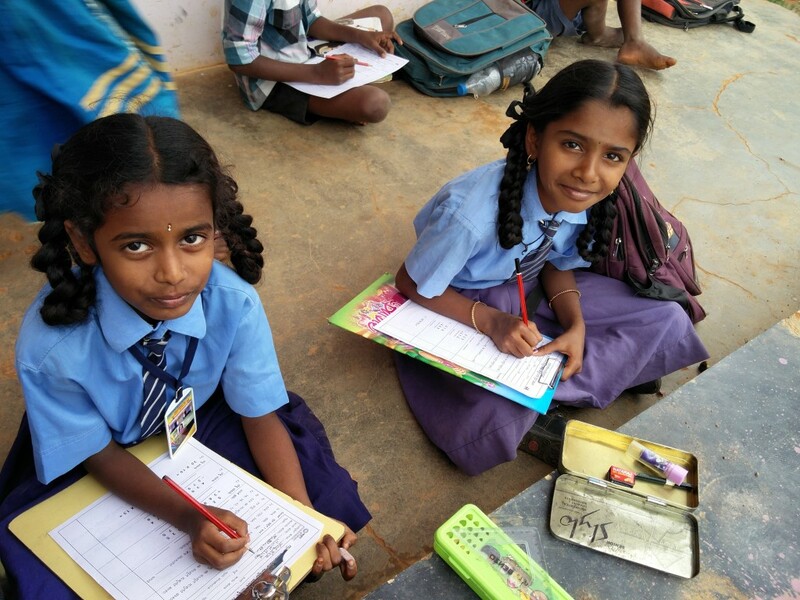 Akshara Foundation, in partnership with the Karnataka government and Sarva Shiksha Abhiyan, launched a math programme called Ganitha Kalika Andolana (GKA) in June 2015. It aims to improve numeracy skills in over 300,000 students in 7520 Government primary schools across North Karnataka. Six months of GKA are already behind us and we are happy to share that increasingly children in government primary schools are enjoying learning math. We know because we hear from teachers, community leaders, volunteers and children. The achievements of this movement are many. And so are our supporters, like you. Do spread the word about this movement by sharing this video. More power to the #GKAMathMovement. Enjoy! 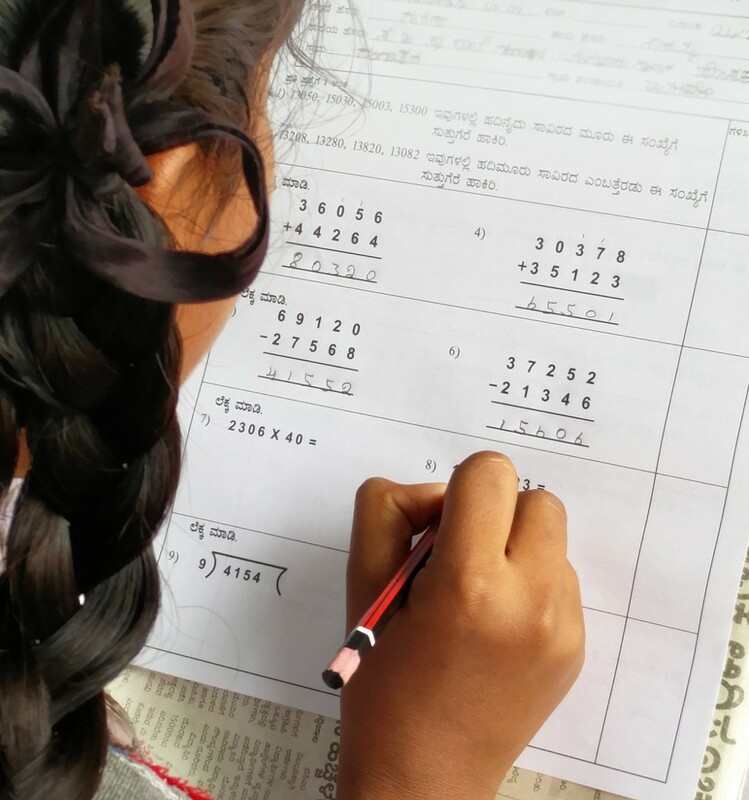 10 essential facts you need to know about Karnataka’s Math movement. 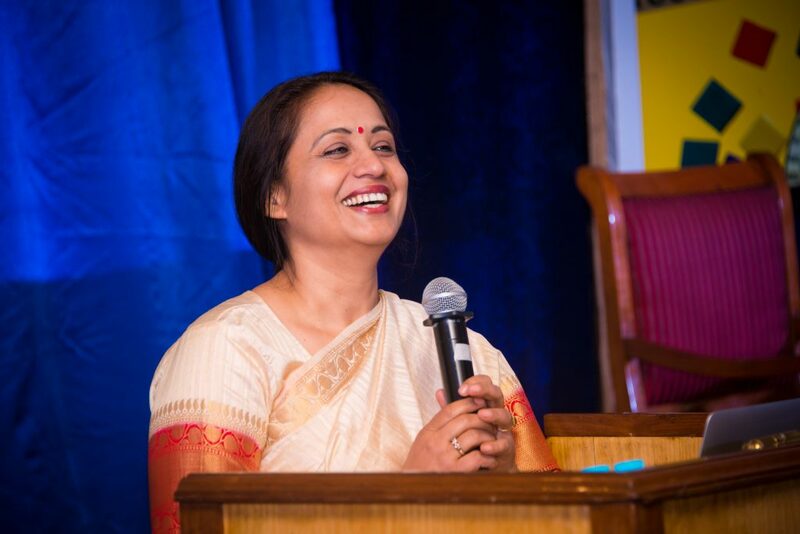 Ganitha Kalika Andolana, is set to benefit 3 lakh children in classes 4 and 5 across 7520 schools in the six districts of the Hyderabad Karnataka Region. 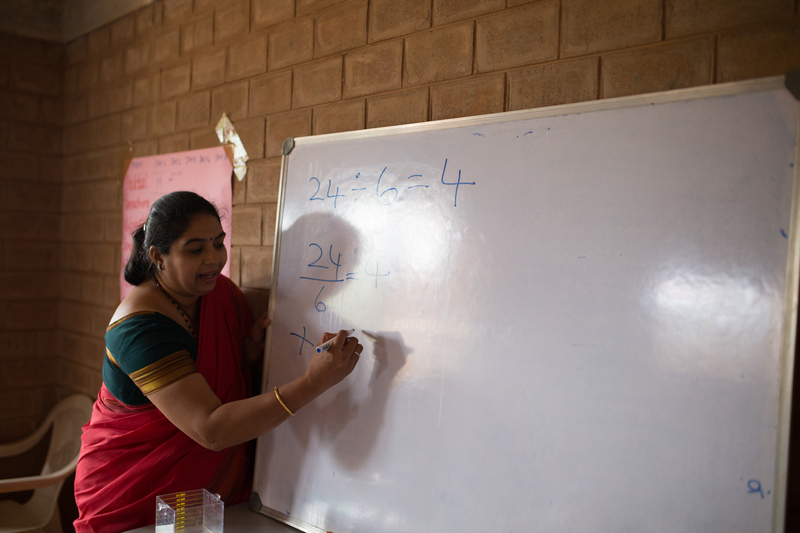 Karnataka’s math movement is one of its kind public-private partnership (PPP) between the state government and Akshara Foundation, a non-profit. The math movement is currently on in the Hyderabad-Karnataka region of the statewhere development indices are consistently low. The six districts of Hyderabad Karnataka Region are considered most educationally backward and the region is conferred with special status in the state under Article 371J of the Constitution. The math movement is backed with attractive, well researched teaching and learning material (TLM), math videos, pop-culture posters and teacher manuals in Kannada, Urdu and English. Designed with flair and care, these can tempt even an adult maths-phobe to give Math a shot. Brightly coloured counters, beads, dices, clocks, plastic currency, miniature weighing scale, exciting videos and much more – all of it is certainly giving math learning a new dimension. Ganitha Kalika Andolana is also supported by an Interactive Voice Response (IVRS) facility. Share real time data on the usage of math teaching aids, voice your concerns and make the movement a success – all of this just by making one call. Grammy award winner Ricky Kej has composed a catchy math anthem in both Kannada and English for the math movement. Also available for download as a song and phone ringtone, the anthem is already a hit with both students and teachers. Not in Karnataka but still want to use all teaching resources? As partner to the math movement, Akshara Foundation has made all the resources freely available under the Creative Commons License. Training manuals, math videos, concept cards – all of them just a click away. Go download! The state government has left no stone unturned to ensure that while the teaching and learning material is child friendly it is also non-toxic and completely safe to be used by children. All the teaching aids are certified to be non-toxic by National Referral Center for Lead Projects in India (NRCLPI). This silent math movement is certainly stepping up the game for teachers. Nearly 8000 teachers are being trained in math teaching methodology, understanding the key principal and being motivated enough to achieve the ultimate goal. After all, inspired students require inspired teachers. 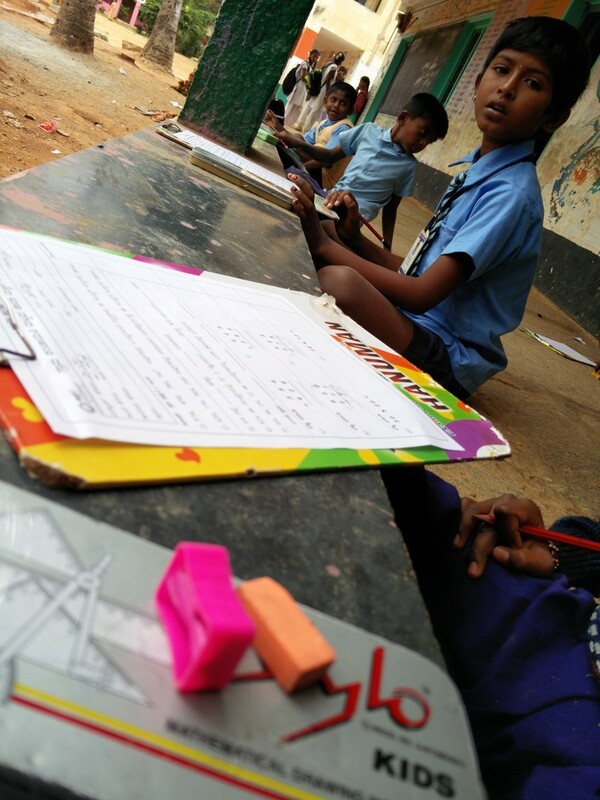 And if you are wondering whether all this will really improve numeracy levels of children in the state, then stay tuned to hear more about Ganitha Kalika Andolana – Karnataka’s math movement where a third party appointed by SSA and DSERT will assess and analyse the impact of this effort. So add these all up, get inspired and join the movement. Check out some cool ways in which we are deconstructing Math for kids. 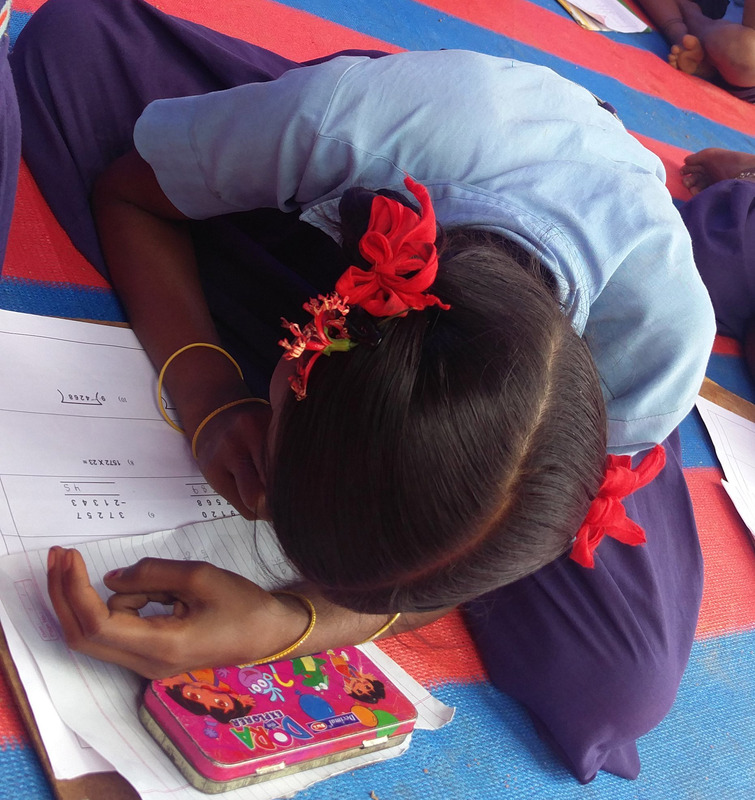 Did you know that only 25.3% of children in class III can do two digit subtraction or that the percentage of children in class II who still cannot recognise numbers up to 9 has increased from 11.3% in 2009 to 19.5% in 2014. The numbers revealed by Annual Status of Education Report (ASER) 2014, released in January, this year, clearly states that Math learning levels in the country continue to be a serious and major cause of concern. Well, this was big news that went nearly unnoticed. To draw attention to this and remove the bite out of Math, we at Akshara Foundation have meme-fied the big news and piggy backed on the cultural phenomena that is Bollywood. #MathinIndia is what we call it. 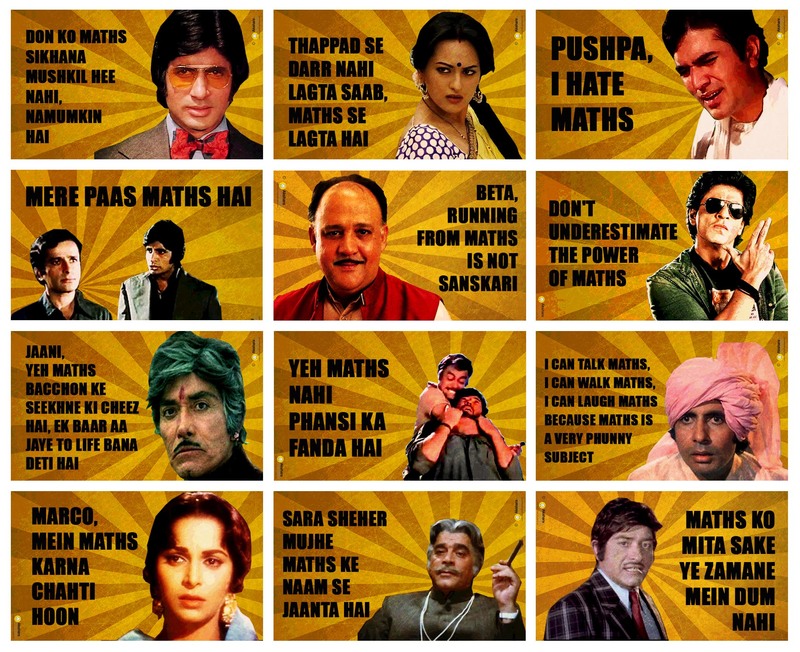 We have couched the common fears surrounding Math with catchy dialogues by much loved Bollywood characters, hoping to engage a wider and bigger audience into the conversation around the education of our children. 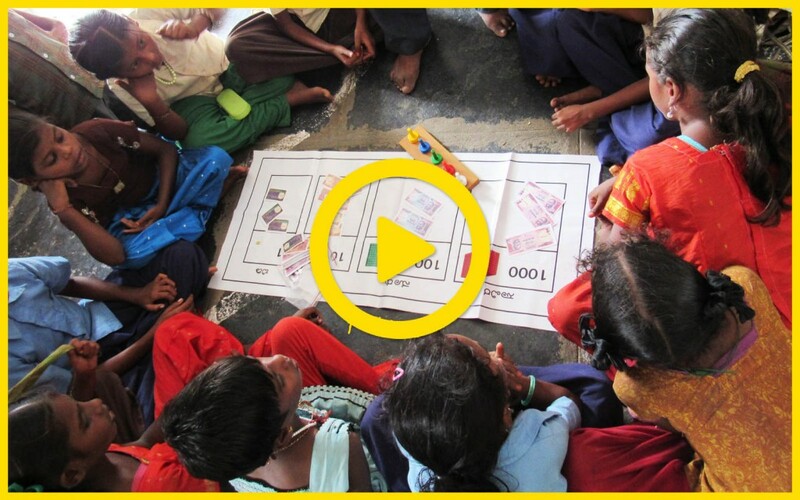 A pan-India social awareness and advocacy project, #MathinIndia, is a conversation starter initiated to sensitise a larger audience on the issue of low learning levels among children about Math in the country. After all, for Make in India, we have to think of #MathinIndia. So let’s take stock, kick the shibboleths surrounding Math and build up #MathinIndia. Set to tune by Grammy winner Ricky Kej, Math Magic revels in the joy of numbers and enthuses our young towards the necessity of math. So get started, include the song as part of math learning for your kid and watch the fun. You can play this cool ditty anywhere – in the car while travelling, listen to it during playtime, set it as your mobile ringtone or even dance to it during math lesson. Available in English and Kannada, we bet, you and your child will love it! A set of 10 math concept cards weave together language and math in daily situations, bringing math out of the abstract and into the lived reality of the child. The concept cards carry a story and an activity, based upon students’ earlier knowledge and come in handy as a tool to introduce new math concepts to children. Questions on the reverse side of each Concept Card serve as a starting point for discussion and enable children to solve problems with their peers. The Concept Cards provide a ready list of relevant Maths vocabulary for some of the major concepts. The math movement has just begun. Join us in making 3 lac kids excel in numeracy skills. 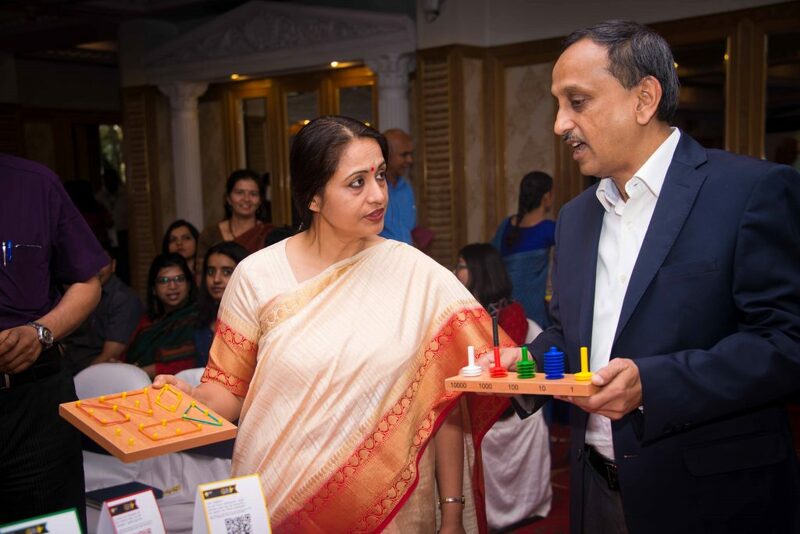 On June 23, 2015, Akshara Foundation and the Government of Karnataka together launched an innovative programme – Ganitha Kalika Andolana (GKA), to teach math to children in grades 4 and 5. This ambitious programme, through a series of interventions, aims to bring about higher learning levels in terms of numeracy skills in the six districts of Gulbarga, Bidar, Raichur, Bellary, Koppal and Yadgir. Collectively these six districts form the Hyderabad Karnataka Region which is also the second largest arid region in India. Over the years, all measured human development indices are extremely poor in this region and reported figures show that these districts are at the bottom in the state of Karnataka in terms of health and education. It is, in this needy region that the state government and Akshara Foundation decided to launch GKA. Over the next two years, the programme will build capacity at the local level for teaching math; equip teachers in government primary schools with all the tools required to transact better in their classrooms and the expectation is that math learning levels in children will improve significantly. However, GKA is not only about our commitment towards a better future of our children. What we need to ask ourselves is – Is it enough for just the government and a NGO to work together to improve things or does everyone have a role to play? Akshara Foundation has chosen the term Andolana which loosely translates into ‘movement’ and we at Akshara believe there is a role for each one of us to play and make a small difference in bringing quality learning to the children of our state and country. We believe that the time has come for all of us to recognise the gravity of our education problem and do our little bit to make the future better for our children and one way to do this is by improving the quality of education for our children. It’s time for each one of us to take a stand on the education of our children and turn it into a mass conversation. Your support is critical because we now have an opportunity to break down the barriers to education which many children face. We need your voice too. Please join the movement. Together we will make every child in school and learning well a reality. My first visit to a government school in rural India. Seeing the schools in Kushtagi and Mundargi was the favourite part of my time with Akshara. Our school visits were unannounced, like the house visits, so we were able to see a real school day in progress, and Akshara was able to check on the students’ progress. Another reason Akshara came to the schools was to see how, if at all, classrooms were utilising their GKA Kits. These kits contain educational resources for mathematics and English classes, such as counting mats and blocks and conversation sheets, that seem as if they should be standard in every classroom – especially the math tools. These are tools that helped me, as a younger student, visualise operations like addition and subtraction. They helped me learn when I was starting my primary education, so it made me optimistic to see the students in Mundargi and Kushtagi using the same tools so effectively. When we initially arrived at the schools, the first thing that I noticed was the resourcefulness. The same resourcefulness that I saw in the residential areas is found in schools; class bells are made from small hammers tied to thick metal trays, small pillows are attached to blackboards by string to create erasers. Making do with what you have is a concept that has grown increasingly rare in countries like the U.S. and big cities, where shortage of resources is rarely felt. One area where this scarcity is not felt, however, is in style. By this, I mean the uniforms and book bags each student was equipped with, provided by the state government. Regardless of the poverty they encountered at home, every young student was clad in a blue and white uniform. Despite this scarcity, these students thrive when given the opportunity. The bright (and adorable) students in the primary schools of Mundargi and Kushtagi share an enthusiasm for learning and a competitive spirit that shined through the dimly-lit classrooms when the Akshara team and I arrived. Whenever a math problem would be presented to the class, the children would rush to open their notebooks and solve the problem first, handing over their work for checking as soon as they finished. In the event a student was wrong, they would just as quickly start working the problem again. When a passage in English was to be read, virtually every student wanted to show us their ability to read and write in English, a refreshing difference from the culture of primary schools in America, where conformity is too-often valued over exceptionality. To feed into students’ eagerness and curiosity, Akshara has set up libraries both in classrooms and local tea shops. Each library is stocked with age-appropriate books in both Kannada and English, to encourage students to expand their familiarity with both their local language and one more widely spoken. I visited the villages on the right day because I was present for the inauguration of one such library, an event that attracted the Gram Panchayat of the village, as well as parents and students to the small café. Each person present was given a few books to put in the library, so no one was left out of the celebration. The concept of tea shop libraries is, I think, brilliant; the availability of books in both tea shops and schools expands opportunities to read for both students and parents and encourages parents to read with their children. ￼￼￼￼￼￼￼￼￼￼￼￼￼￼￼￼￼￼￼￼￼￼￼￼￼￼These visits to Mundargi and Kushtagi showed me a side of life I could never have imagined. They made me thankful for my plentiful life in the United States and optimistic about India’s future. India is a complex country with a variety of cultures and traditions. To lead in tomorrow’s world, it needs something or someone to help it achieve its vast potential – a good education is that something and Akshara is that someone.